Looking at the Silverbulletday Stakes 2015: The Silverbulletday is run on the same day as the LeComte at the Fair Grounds on Saturday, January 17, 2015 for points (10-4-2-1) toward earning a spot in the Kentucky Oaks. The Silverbulletday used to be called the Tiffany Lass Stakes, which was won by horses such as Joyful Victory, Believe You Can, and Cassatt. Unbridled Forever won the race last year. Top Decile (far left) is looking to add another win to her record in making her fourth career start in the Silverbulletday Stakes at Fair Grounds on Saturday, January 17, 2015. 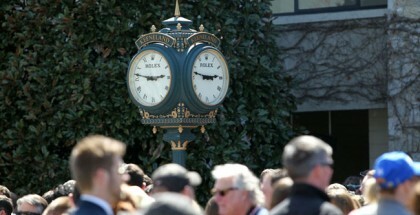 The Silverbulletday/Tiffany Lass Stakes has been successful in gearing fillies for the Kentucky Oaks. Believe You Can and Joyful Victory turned out to be very successful fillies and they have this key race to their credit. I’m a Chatterbox: Making only her fourth start, the daughter of Munnings looks to rebound off a fourth place finish in the G2 Golden Rod Stakes, which she finished behind West Coast Belle. The Silverbulletday Stakes is not graded, but facing West Coast Belle is likely going to be a challenge for this filly. Also, her pedigree does not scream distance. She may be able to be competitive at the one-mile plus seventy yards, but likely will struggle down the road. West Coast Belle: Regally bred daughter of Tapit is making her fourth start, coming in as the likely favorite, she is undefeated in her career. Owned by Gary and Mary West and trained by Wayne Catalano, West Coast Belle has every chance to become a superstar. Her pedigree screams class and her talent likely hasn’t been touched. Divine Dawn: Divine Dawn is not a stakes winner, but she is undefeated in two starts. Her pedigree is miler speed over stamina-geared blood. By Divine Park, winner of the Met Mile and the Westchester Handicap, the filly is easily going to be able to get the distance of the Silverbulletday. Out of the Friends Lake mare, Seattle Grey, the filly could take the stakes competition step easily. Money’soncharlotte: While both this filly’s sire and damsire won races over the dirt, her pedigree is actually strong in turf influence. Mizzen Mast, her sire, began his career overseas in Europe. 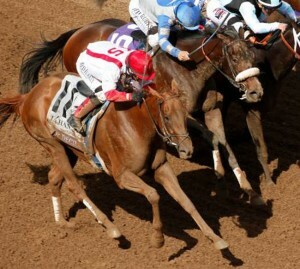 A Group 3 winner and Group 1 placed, Mizzen Mast came to the USA and won the G1 Malibu Stakes and the G2 Strub Stakes. This filly should no have a problem at the one-mile plus seventy yards, but will likely be distance challenged. Forever Unbridled: The full sister to 2014 Silverbulletday winner, Unbridled Forever, this filly has the pedigree to win this race. 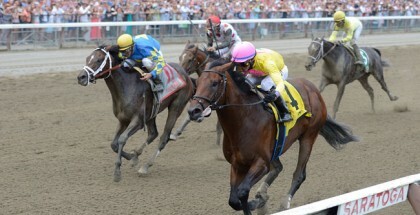 Sired by Unbridled’s Song, the filly should have the precociousness to be able to take the step into the stakes ranking. She broke her maiden last out at the exact same distance. Owned by Charles Fipke and campaigned by Dallas Stewart, the filly is in good hands. 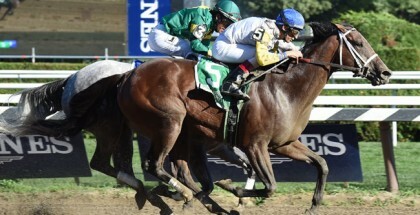 Zooming: In four starts, Zooming is entering the Silverbulletday on a three-race win streak. The Texas-bred filly has a very classy pedigree. By After Market, who was a multiple grade one winner, the filly is out of Dance Studio, by Bertrando. The only time Bertrando did not compete in graded stakes company was his maiden score in his debut. Zooming could easily become a very highly regarded filly in the future. Queen’s Ready: Since her debut in May, Queen’s Ready has run fourteen times, which is twice a month since July. She just broke her maiden three starts back going seven furlongs on the dirt. This filly is by More Than Ready, who finished fourth in the 2000 behind Fusaichi Pegasus. This filly shouldn’t have a problem going a bit longer than 7F but not against this competition. Slava: Stable mate of Queen’s Ready, this filly only has a win, a second, and two thirds to her credit in seven starts. With a pedigree that can bring her home in a race such as the Silverbulletday, this filly seems a few rungs below on the ladder of talent in comparison to some of the fillies in this race. Top Decile: Top Decile is looking to add another win to her record in making her fourth career start. After winner her debut, the Congrats filly went on the finish second in the G2 Alcibiades Stakes and a fast closing second in the G1 Breeders’ Cup Juvenile Fillies to Take Charge Brandi. Mike Smith picks up the mount for the Al Stall Jr. trainee, which could benefit the filly. Look for her to be running at the end. 9 Top Decile 8-5 Smith/Stall, Jr.